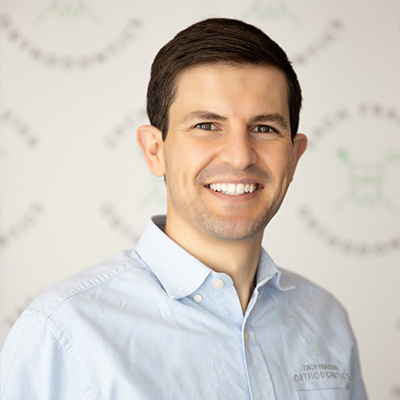 Having grown up in Downers Grove, Dr. Zach Frazier feels a strong connection to the local community, and he is proud to be your hometown orthodontist. Dr. Zach is a board certified specialist in orthodontics dedicated to providing high-quality care. His training has gone above and beyond traditional orthodontics. Previously, he was part of the craniofacial team at Children’s National Medical Center in Washington, DC. Due to this additional experience, he can offer exceptional care to all patients, including those with special needs. He believes that treatment should be both an enjoyable and rewarding experience, and he would be privileged to care for you and your family. Outside the office, Dr. Zach enjoys spending time with friends and family as well as traveling to new places. He lives in Downers Grove with his wife Karen and his son and daughter.